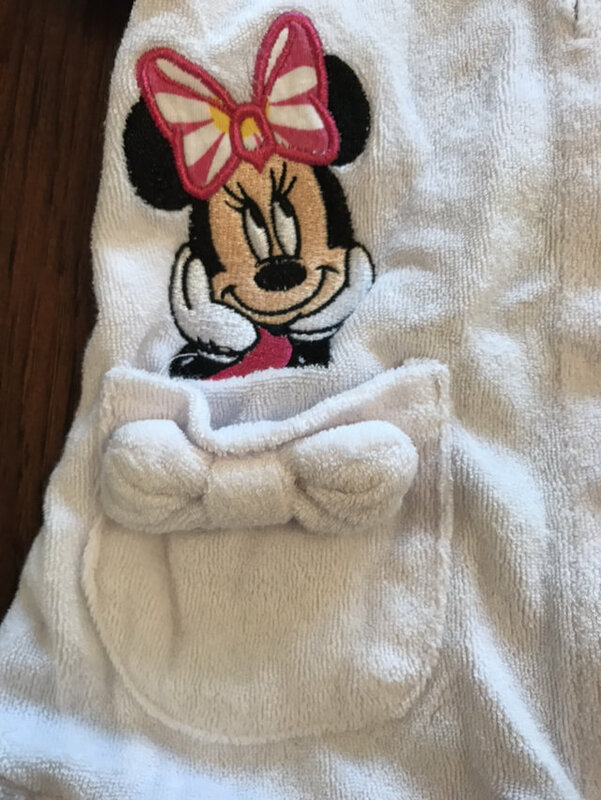 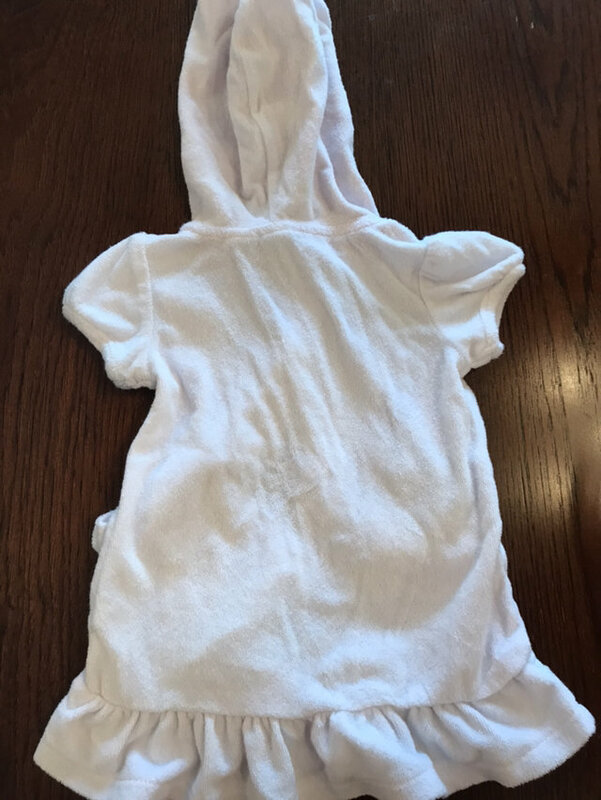 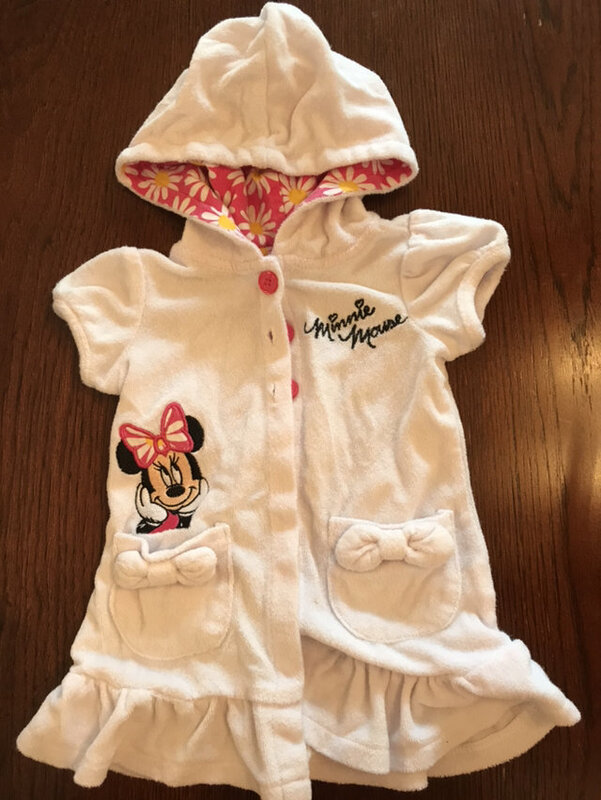 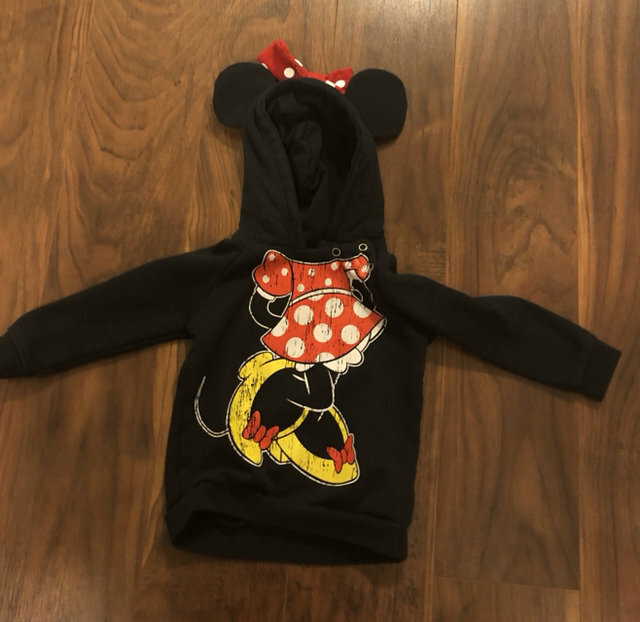 Terry cloth cover up with Minnie Mouse. 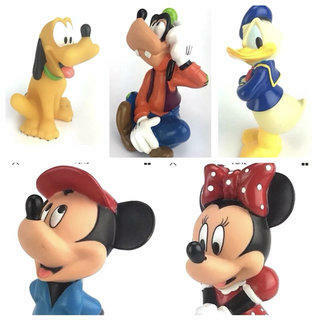 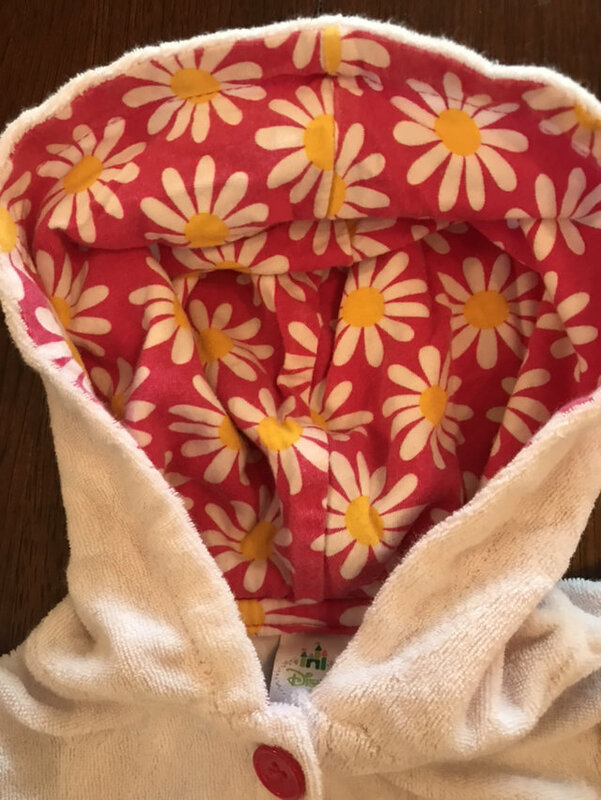 Pockets on front and daisy design in hood. 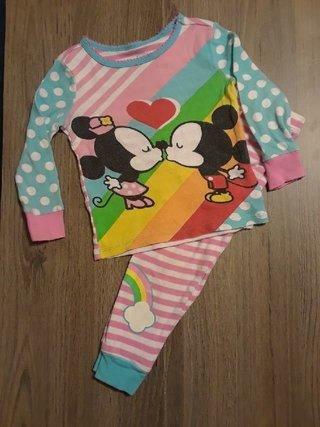 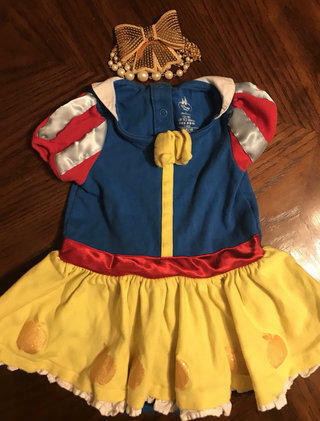 Size 12M.